Strong relationships set the stage for healthy development. In this course, examine childhood mental health principles and learn strategies for working with parents of young children. Note: Take this course as a stand-alone course or apply it to the Supporting Early Social and Emotional Development Credential. Summer 2019 (June 10 to August 12, 2019). Cost: $870, plus required textbook. Register by June 3. Spring 2020 (February 3 to April 6, 2020). Cost: $950, plus required textbook. Register by January 27. Registration opens soon. Learn how early childhood mental health research informs work with parents with mental illness, chemical dependency, trauma, cognitive delays, and those who face other adversities. Gain an understanding of attachment patterns and how they affect work with parents. Explore the needs of parents at different stages. Learn how culture and environmental factors impact relationships and childrearing practices. Review self-reflection strategies that will help you identify the needs of individual families. This online course is approved by the Minnesota Center for Professional Development to count toward career lattice steps. The course is instructor-led with feedback and interactions provided. All activities and assignments for this course are asynchronous and online. Nothing takes place in real time. You have access to the course site 24/7 and can fit your work on the course into your schedule. Activities and assignments include readings, videos, discussion board, recording videos using an online tool called FlipGrid, and reflection papers. You are expected to participate fully and abide by weekly submission due dates for assignments and activities. The early childhood competencies are those used by MN – ACHIEVE’s knowledge and competencies framework. 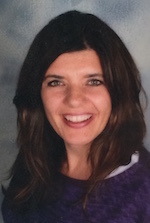 Angela Klinefelter, M.S., is a licensed teacher of parents and children. She has a master’s degree in child and family studies and marriage and family therapy. She currently works as a parent educator and home visitor for the St. Cloud School District Early Childhood Family Education Program. She has 20 years of experience working with children and families. Klinefelter has specialized in the area of social-emotional development of young child and the enhancement of parent-child relationships. Textbook: Zeanah, C. (2018). Handbook of Infant Mental Health (Fourth Edition). New York: The Guilford Press. Paperback: Hopgood, M. (2012). How Eskimos keep their babies warm and other adventures in parenting. Algonquin Books of Chapel Hill. Note: You will need to rent a video online for one of the module activities. The rental price is currently around $2.99 and is subject to change. Cancellation Day 2 Week 2 forward: No refund will be provided. To cancel, send an email to Karen Anderson at ander352@umn.edu. CEED reserves the right to refuse/cancel a registration due to low enrollment, a prerequisite not completed, or other circumstances making the registration nonviable. In the event of a course cancellation, registrants have the option to receive a full refund OR to transfer the registration to the same course held in a future session. CEED will accept substitutions for attendees.